I have lately found myself very interested in Sir Palomides, the Saracen Knight of the Round Table. What was a Saracen doing at King Arthur’s Court, and just what is meant by “Saracen” in these stories? Palomides is described as a Saracen in Malory’s Le Morte d’Arthur, and perhaps we can assume that term means he is a Muslim, although there were no Muslims yet in sixth century Britain; the time of King Arthur was a good century before the Prophet Mohammed established Islam. But nor was Malory trying to recreate a sixth century world—his setting is more akin to the High Middle Ages. “Saracen” was also a very general term that could refer to anyone from the Middle East at the time actually, but it was also synonymous with “Muslim” in this time period. 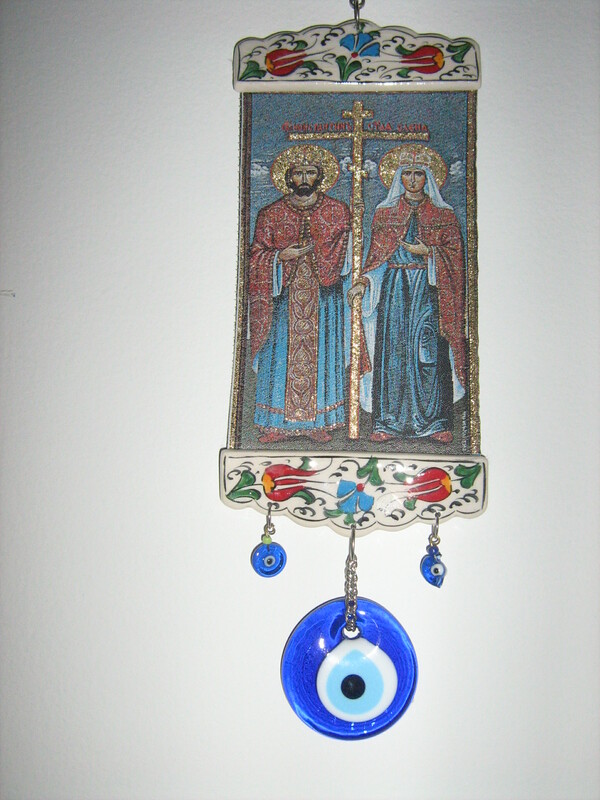 Malory and other medieval writers make little mention of Palomides’ religion, however, other than to say he was a Pagan. Most versions of the legend say he was the son of King Escabor of Babylon, who traveled to Rome and saved the life of the emperor and later traveled to Britain and saved King Pellinore’s life. The stories are vague—did Palomides come to Britain with his father? Pellinore is known for his role in following the Questing Beast and he states that only one of his family can pursue and kill the beast, but it is Palomides who eventually does kill the beast—does this mean Palomides is in some way related to Pellinore? If there were any real sources behind Palomides’ story, they are lost. At best, we can assume he was to be seen as a model of a Pagan who was later baptized as a Christian. One important part of Palomides’ story is his great love for Isolde, the mistress of Sir Tristan. In fact, at one point Tristan defeats Palomides and makes him swear no longer to pursue Isolde or bear arms for a year—a harsh sentence indeed. I never did like Tristan anyway and I’ve always found his and Isolde’s long love story a tiresome and lengthy digression from the good stuff in the Matter of Britain. Erskine’s book starts out well enough. Palamede is in his father’s kingdom wanting to find out more about the world and he has heard tales of King Arthur and his knights from his tutor. In time, he decides to set off on an adventure and find the chivalrous and noble heroes he has read about. He is quickly disappointed, however, when he arrives in Cornwall and meets King Mark, Tristan, and Isolde. In fact, the only character not disappointing to me, other than Palamede, in this book is Brangain, Isolde’s maid. One of the tales of Palomides is that he rescued her from robbers who had tied her to a tree. In Erskine’s version, the local people follow vegetation and pagan beliefs, and so they chain her to a tree and it is believed the spirit of the tree will impregnate her. Palamede comes along to her rescue then, and of course, she falls in love with him, but I won’t give away what happens between them. King Mark, Tristan, and Isolde all turn out to be quite obnoxious in Erskine’s story. The book is written in that satiric, tongue-in-cheek tone that was common in this era as postmodernism was arising—it’s the same tone as Evelyn Waugh in Helena or T.H. White in The Once and Future King. It’s the kind of tone that I find tedious—an attempt to be funny that is strained by being prolonged for more than a few appropriate pages into an entire book; it has an underlying meanness to it that shows the author laughing at and even sometimes despising his characters. And Erskine’s characters are so unlikeable that in their arguing and bickering, there were times when I felt as if I were reading a play by Tennessee Williams or Eugene O’Neill about a dysfunctional family, rather than something Arthurian. In the end, I was disappointed by this book. Palomides deserves better than to be the subject of a comical novel that can’t take its subject seriously. Here is the only Saracen knight in the Arthurian world and he becomes the object of satire. What was he really doing there in the Arthurian world? 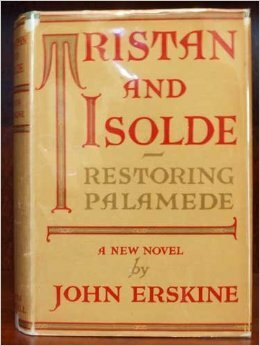 Erskine’s subtitle “Restoring Palamede” refers to how Palomides was often cut from the tales in later retellings that focus on Tristan and Isolde’s love—perhaps these later versions of the Victorian period or thereabouts wanted to clean up the story—no interracial or interfaith relationships allowed—but to restore Palomides properly requires a more serious tone, one perhaps that our current age of multiculturalism and diversity will be able to fulfill in a way that could not be done in the 1930s. I hope some author will restore him properly. Sadly, even the 1990s The Legend of Prince Valiant cartoon television series and the more recent Merlin BBC series did not restore him properly—The Legend of Prince Valiant substituted a black knight named Sir Bryant, and Merlin had a black knight named Sir Elyan, who was Guinevere’s brother. Why was there no Sir Palomides? Are modern writers afraid to depict a Muslim within the Arthurian world, or is he, rightly so, seen as an anachronism since there were no Muslims in Arthur’s time? Either way, Palomides deserves a new and respectful reinterpretation. Perhaps, I will make a try of it myself in my upcoming Arthurian novel series…. Erskine wrote many other books including another about the Arthurian legend, Galahad: Enough of His Life to Explain His Reputation (1926). I fear from this book’s subtitle I won’t like it much better, so I won’t run out to find a copy any time soon. But I also know that my dislike of satire is a personal taste, and anyone interested in Palomides might still want to give Tristan and Isolde: Restoring Palamede a try. 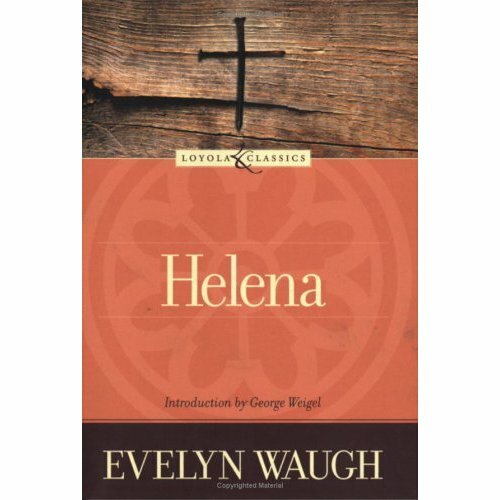 Evelyn Waugh considered Helena to be his best novel.